Is There Such Thing as an Arthritis Diet? While medical therapy for arthritis is a mainstay of disease treatment, many individuals are interested in lifestyle modifications—including an arthritis diet—as an additional therapeutic option. 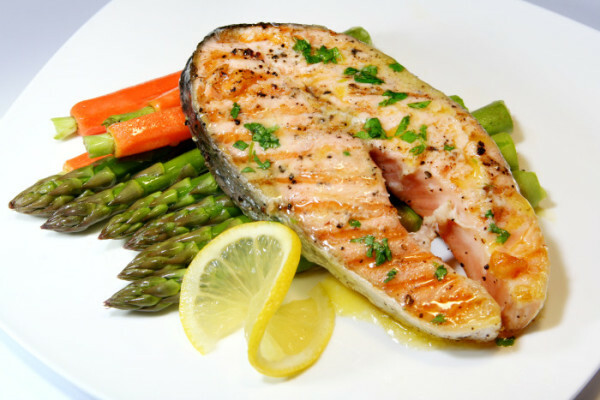 Coldwater fish like salmon (pictured) and tuna are known to fight the inflammation that afflicts those with arthritis. Statistics from the Centers for Disease Control (CDC) reveal that approximately 52.5 million Americans suffer from some form of arthritis, including osteoarthritis (OA), rheumatoid arthritis (RA), and gout. Arthritic diseases may be mild in some people but can be debilitating in others. Symptoms characterized by joint pain, swelling, and stiffness can significantly impact a person’s quality of life. Can an “arthritis diet” help? Most experts would agree that more large-scale, randomized controlled trials are needed to evaluate the effect of particular foods and dietary regimens on specific forms of arthritis. Fish—particularly coldwater fish such as salmon and tuna—contain high levels of omega-3 fatty acids, which have been shown to mitigate inflammation in a number of studies. In particular, fish are rich in eicosapentaenoic acid (EPA) and docosahexaenoic acid (DHA), which are the two omega-3 fatty acids associated with the highest anti-inflammatory properties. Studies have demonstrated that consumption of fish and fish oil supplements is associated with lowered levels of inflammatory markers such as C-reactive protein (CRP) in the blood. They have also demonstrated a reduction in symptoms of rheumatoid arthritis in people consuming omega-3 fatty acids from seafood and fish oil sources. Fruits and vegetables contain a powerful combination of antioxidants and fiber, both of which have been demonstrated to have an anti-inflammatory effect, crucial to a so-called arthritis diet. Vitamin C, an antioxidant found in fruits such as citrus and red bell peppers, has been shown to stimulate the production of the cartilage components, collagen and proteoglycan, and to prevent the breakdown of cartilage in animal studies. Vitamin K from plant-based sources, such as spinach and kale, has been associated with lower levels of inflammatory markers in the blood. Cherries have been proven to ease gout symptoms. 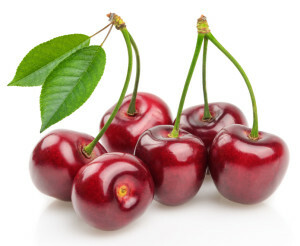 Cherries, which contain the antioxidants anthocyanins, have been linked to reduced inflammation and a reduction of uric acid, the waste substance found in the painful crystals in joints of people with gout. In fact, cherry consumption was associated with a 35 percent reduction in gout attack risk in one published study. Fruits and vegetables are also high in fiber. Higher consumption of dietary fiber has been linked with lower CRP levels and also with healthier weight, which may both provide an anti-inflammatory effect and reduce the physical burden on arthritic joints. A British study of more than 23,000 men and women published in the Annals of Rheumatic Diseases found that people who consumed the least amount of fruits and vegetables had double the risk of developing inflammatory arthritis. Olive oil contains a compound called oleocanthal, which has been shown to decrease the inflammation in joint-related disease by mimicking the effects of nonsteroidal anti-inflammatory drugs (NSAIDs). Oleocanthal inhibits the cyclooxygenase enzymes that produce potent inflammatory chemicals such as prostaglandins. A 2012 study demonstrated that oleocanthal also reduced the production of the inflammatory compounds involved in cartilage destruction. Legumes—in particular red, pinto, and kidney beans—are rich in inflammation-reducing fiber and antioxidants. They are a staple of the Mediterranean diet and an inexpensive source of protein. As with fruits, vegetables, and beans, whole grains contain high levels of fiber, which has been linked with reduced inflammation and healthier weights. Whole grain wheat also contains selenium which has been linked to reduced inflammation in some studies. Stay away from fatty meats to give yourself a better chance at fighting off arthritic inflammation. Avoiding foods that promote inflammation can also be an important lifestyle modification in people with arthritis. A number of dietary components have been associated with increased production of inflammatory cytokines and other mediators of inflammation in the body. These include trans fats, found in shortenings and margarines, and saturated fats such as those found in hydrogenated oils like palm oil and animal fat. 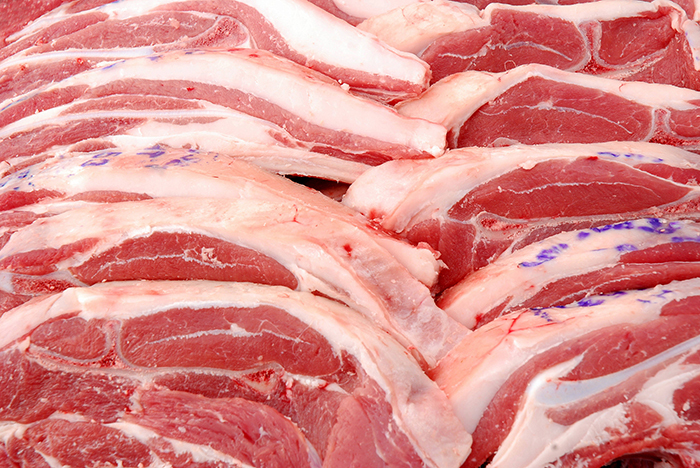 Advanced glycated end products (AGEs) that come from meats prepared at high temperatures, sugars in highly processed foods, and foods rich in omega-6 fatty acids (some vegetable oils such as soybean, sunflower, and cottonseed, egg yolks, margarine, and some meats) have all been linked to inflammation. Although not through a directly pro-inflammatory mechanism, consumption of purine-rich foods (such as organ meats and mackerel), fructose-sweetened beverages, and alcohol has been associated with increased uric acid levels and frequency of acute attacks in people suffering from gout and should be limited in a gout diet. Research is making it increasingly clear that food is not just fuel for our body, although that is clearly its most important role. The interplay between what we eat, the way our bodies process those foods, and our genetic make-up appears to have an important role in disease, which is why the term “medical nutrition therapy” has become a common one. alcohol, anti inflammatory, anti inflammatory drugs, antioxidant, antioxidants, arthritic, arthritis, arthritis diet, arthritis symptoms, c reactive protein, cartilage, collagen, diet, docosahexaenoic acid dha, eicosapentaenoic acid, eicosapentaenoic acid epa, fiber, fish oil, fish oil supplements, food, foods to avoid, forms of arthritis, gout, gout attack, gout diet, gout symptoms, highly processed foods, inflammation, inflammatory arthritis, joint pain, kale, mediterranean diet, nsaids, nutrition, oleocanthal, omega 3, omega 3 fatty acids, omega 6, osteoarthritis, pain, processed foods, protein, purine, purine rich foods, ra, rheumatoid, rheumatoid arthritis, selenium, spinach, supplements, the mediterranean diet, uric acid, vegetables, vitamin, vitamin c, vitamin k, whole grain, whole grains. I thought you might be interested in this article on https://universityhealthnews.com: Is There Such Thing as an Arthritis Diet?